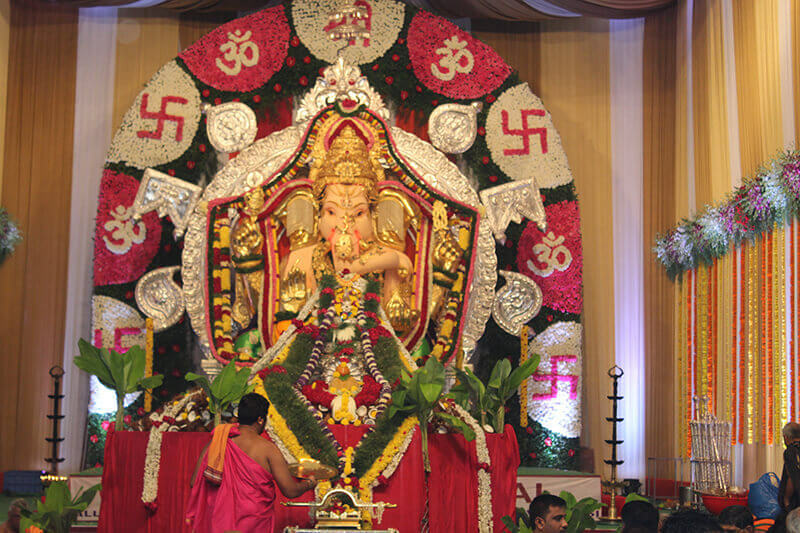 62nd Ganeshotsav was celebrated from 5th September 2016 till 9th September 2016 with great devotion and enthusiasm. 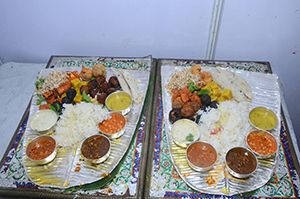 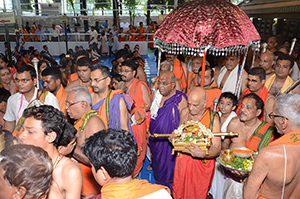 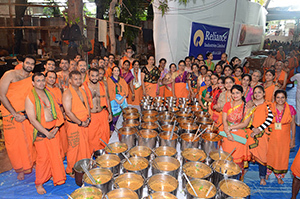 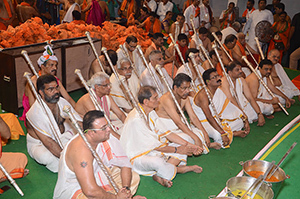 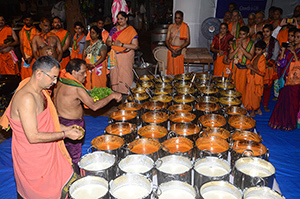 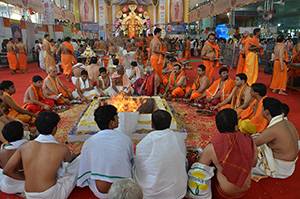 More than 60,000 pooja / Seva were booked by the devotees and were performed as per the customs and traditions. 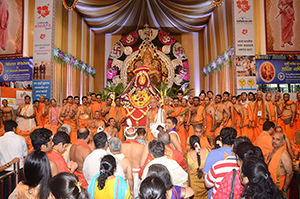 Like every year, nearly 2000 volunteers worked tirelessly, attended to each and every devotee and made the celebrations a big success. 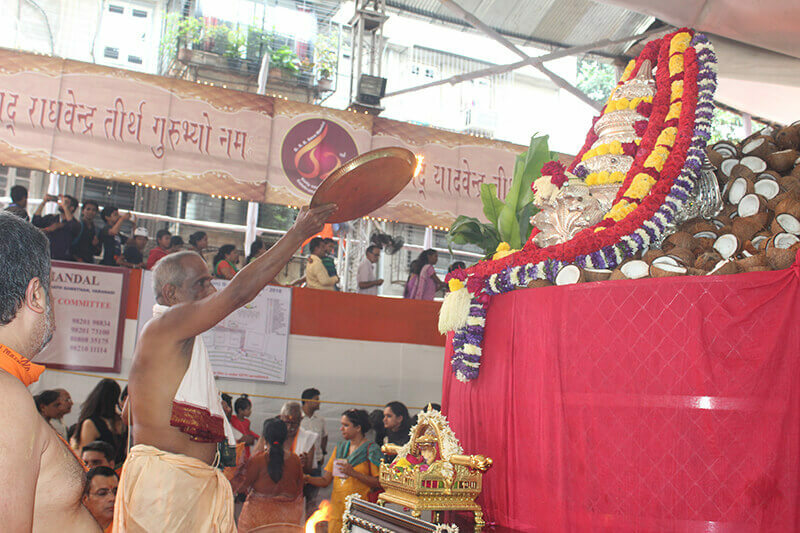 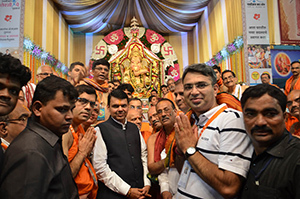 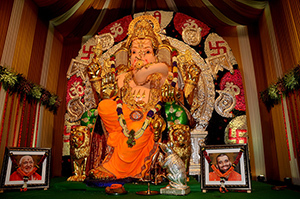 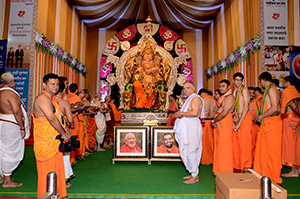 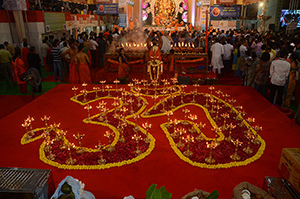 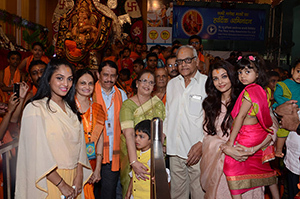 More than 5 Lakh devotees visited the Pandal for the Darshan and blessings of the Bappa. 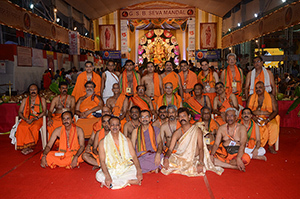 The number of devotees visiting the Pandal has been increasing every year the and we firmly believe that this is due to the blessings of our Dharmaguru Kashi Mathadhipati Srimat Samyamindra Tirtha Swamiji and our Bappa.